Fiction University: What Sort of Writer Are You? 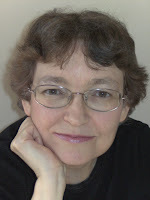 JH: I'd like to welcome YA science fiction author Janet Edwards to the blog today to chat with us about something many new writers face: wanting to write, but not knowing what to write about. She offers us some wonderful questions to help determine where your passion lies. It's also an inspirational story, as she made the journey from picking up a pen to published author in a remarkably short time. Janet lives in England. As a child, she read everything she could get her hands on, including a huge amount of science fiction and fantasy. She studied Maths at Oxford, and went on to suffer years of writing unbearably complicated technical documents before deciding to write something that was fun for a change. She has a husband, a son, a lot of books, and an aversion to housework. Her debut novel Earth Girl releases in the UK tomorrow. I’ve always loved reading. Five years ago, I finally decided to have a serious attempt at writing something myself. I bravely took my notebook, pen, and signed up for a weekly creative writing class. I soon discovered things I needed to learn. Trivial things like spacing lines in a manuscript, and one very big thing. I didn’t actually know what I wanted to write. Our teacher taught us about lots of different sorts of writing. Poetry, fiction, non-fiction. Flash fiction, short stories, novellas, novels. Literary fiction, romance, thrillers, horror, fantasy. Writing for adults, for teenagers, for children. I was like an athlete walking into a stadium and trying to choose an event. Which one was really for me? Perhaps some writers never have any doubt. The book they want to write has always burned inside them. It was much less obvious for me, because I’d loved so many different sorts of stories. I tried asking myself some questions, and worked out my answers, often by writing something. Question one. What couldn’t I write? I discovered some sorts of writing came naturally to me, while others were like climbing a cliff wearing flippers and playing a banjo. I would never write non-fiction or poetry. Question two. What length were my stories? To begin with, I tried writing short stories for competitions. It’s a good way to learn the mechanics of writing, and made me face my fear of sending my words out into the world where other people would read them. I discovered I could write short stories of one, two¸ or even three thousand words, but in anything longer my plot and characters would take control and turn it into what was obviously the start of a full-length novel. Surprisingly, I could write very short stories, or a novel, but nothing between the two. Question three. What genre was I? Now this was a very difficult one. Literary fiction felt awkwardly close to poetry, and historical fiction too close to non-fiction. Pure romance didn’t feel right. I discovered I could write horror, but I didn’t read it, so it seemed a bad idea. I tried changing my question slightly. Question three version 2. What genres did I know? I’d read a huge amount of science fiction, comedy and detective fiction. I didn’t think I could actually write science fiction myself, but the other two seemed possible. Question four. What age group was I writing for? I couldn’t picture myself writing for two year olds or teenagers. I could see myself writing for ten year olds, or for adults. Having made those decisions, it was time to write my novel! Book one was written for ten year olds. I spent a lot of time polishing it and learnt a lot about writing. The result wasn’t hopeless, but it was a bit long for the intended age group and some elements were more appropriate for adults. I had two failed partial attempts at books. The comedy detective fiction for adults, and the urban fantasy detective fiction for adults. Everything worked in them except for the detection. I am a discovery writer, and hit problems because I hadn’t plotted the book in advance and didn’t know whodunnit. Book two was a comedy for adults. It was fun. It wasn’t bad for a first draft. I would have polished book two and pestered agents with it, but something else happened. Book three was not a logical decision, and it wasn’t even supposed to be a book. It was an idea for a short story that had been hovering in the back of my mind for a year without really working. Suddenly it was screaming at me. I had to write it to get some peace. Book three wasn’t what I expected. It was science fiction. It was for older young adults and for adults. It was great fun to write. Book three was Earth Girl. I’m writing this in August 2012. 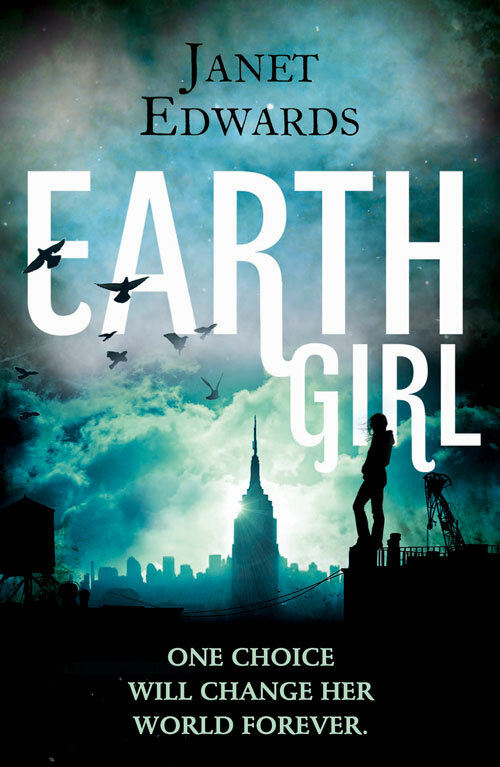 Earth Girl is about to be published in English in the UK and Commonwealth by Harper Voyager UK, and in German translation worldwide by Rowohlt. I’m currently working on two more books, to be published in 2013 and 2014. It’s just under five years since I signed up for a creative writing course. I write science fiction and fantasy for young adults and adults, and I love doing it. What sort of writer are you? The answer isn’t always what you expect. Jarra invents a fake background for herself–as a normal child of Military parents–and joins a class of norms that is on Earth to excavate the ruins of the old cities. When an ancient skyscraper collapses, burying another research team, Jarra’s role in their rescue puts her in the spotlight. No hiding at back of class now. To make life more complicated, she finds herself falling in love with one of her classmates–a norm from another planet. Somehow, she has to keep the deception going. A freak solar storm strikes the atmosphere, and the class is ordered to portal off-world for safety–no problem for a real child of military parents, but fatal for Jarra. The storm is so bad that the crews of the orbiting solar arrays have to escape to planet below: the first landing from space in 600 years. And one is on collision course with their shelter. How exactly do you determine what age group you write for? Earth Girl sounds great. It's going on my TBR list, for sure. Although I didn't ask myself those questions - wishing I had, in retrospect - I went through a similar process to discover I had a preference for YA and things that are just fantastic, whether urban or sword and sorcery. Rachel, Janet will probably pop in, but for me, I think about who would read my book and what books are like it in subject matter (from a "what age is going through these things, not plot or anything) I have ideas that are all about being a kid and having fun, and those are more middle school age. Stories where the focus is on dealing with issues are better suited for older teens. Earth Girl sounds really fascinating, I wish you success with the launch. For me it was a no brainer as to what to write. Anything that comes off the pen is set somewhere in the world in the late 1800s! Why, I don't know, but I just flow with it: Historical fiction for adults. Great post! I always love reading about a writer's journey. I guess just becasue you enjoy to read a particular genre doesn't mean you can write it. I personally like to start writing a novel and figure out who might be the intended audience (toddlers? adults?) once the characters' voices and motivations have emerged. Earth Girl is going on TBR list now. Jarra sounds like a fascinating character. Oooo! Sounds like a great read! Another to go on my TBR list (I know I'm a copy cat!). Yay new books! In answer to Rachel, books get put into categories, but the real judgement on what age group you're writing for comes from the readers themselves. With Earth Girl just launching, I'm still learning the answer to that question. A lot of advanced review copies went out, and I've read reviews telling me people as young as ten, and as old as seventy have enjoyed the book. Perhaps Young Adult isn't so much an age range as a state of mind and a spirit of adventure. Janet, I'd have to agree with your last comment. I've had a wide range of ages read my MG series as well., and I love MG/YA books even though I'm not a teen anymore. Of course that doesn't help when querying it :) Agents and editors want to know where on the shelf it will go. I can identify with the writing journey and your book sounds amazing!! Thank you and I wish everyone luck with their own writing journeys. Great article, Janet and HUGE congratulations on Telepath:)). I LOVED it.